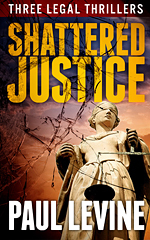 Paul Levine is critically acclaimed the world over for his chilling legal thrillers. Drawing on his own experience as a trial lawyer, he constructs gripping plots and unique characters that have readers turning pages deep into the night. Best known for his “Jake Lassiter” and “Solomon vs. Lord” series of legal thrillers, Paul has also written a number of stand-alone novels of suspense. Levine’s legal thrillers have won the John D. MacDonald fiction award and have been nominated for the Edgar Allan Poe award, the International Thriller Writers award, as well as the Macavity, the Shamus, and the James Thurber prizes. This boxed set is a fantastic introduction to Paul Levine’s best-selling legal thrillers, and a must-read for any fan of crime fiction. It contains the author’s favorite novels: the first of the Solomon vs. Lord series, the first of the Jake Lassiter series, and the stand-alone thriller Illegal. “Paydirt” is a genre-busting crime thriller featuring a broken man who will do anything — including rigging the Super Bowl — to recover his life and win back his wife and son. Bobby Gallagher had it all…and lost it. Fired from his prestigious job, disbarred from the legal profession, divorced from the wife he loves, and in debt to the mob, Bobby embarks on a life-threatening mission. Assisted by his 12-year-old son Scott, he embarks on what appears to be an impossible task: rigging the Super Bowl. They must fix the game, win a huge bet…and avoid getting killed. Frequently compared to the family-based style of crime thriller penned by Harlan Coben, “Paydirt” combines sly wit with high suspense and an unforgettable ending. Rigging the Super Bowl has never been so much fun…or dangerous. Down-on-his-luck lawyer Jimmy (Royal) Payne tackles cops, coyotes and a corrupt and powerful rancher in his quest to track a beautiful Mexican woman, who disappeared on a midnight border crossing. In this standalone thriller, Payne is drawn into the murky world of human trafficking, but haunted by a tragedy in his own past. Will his quest see his mistakes redeemed – or will he end up in a shallow grave? 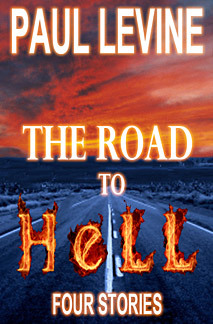 The Road to Hell compilation gives readers four thrillers that have more in common than the word “hell” in their titles. Whether by land, by sea or simply in the mind, all the heroes of these exciting short stories must travel dark and dangerous paths, confronting devilish and powerful villains in their search for answers. 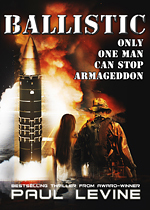 When a doomsday cult captures a U.S. Air Force missile base, it’s up to a lowly sergeant and a female psychiatrist to stop a nuclear holocaust. In a crime thriller described as “Die Hard in a missile silo”, the heroic duo must work together to prevent Armageddon – at the same time as battling with their own demons. 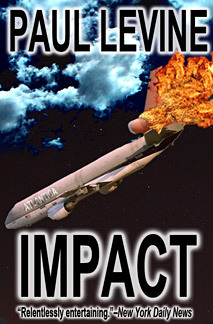 When a jetliner crashes catastrophically in the Everglades, a billion-dollar lawsuit must decide whether negligence or terrorism was to blame. The lives of Supreme Court Justice Sam Truitt and his stunning and brilliant law clerk Lisa Fremont are at risk if the case doesn’t go a certain way, and in this gripping tale of seduction and betrayal, the two must join forces to ensure that justice prevails.